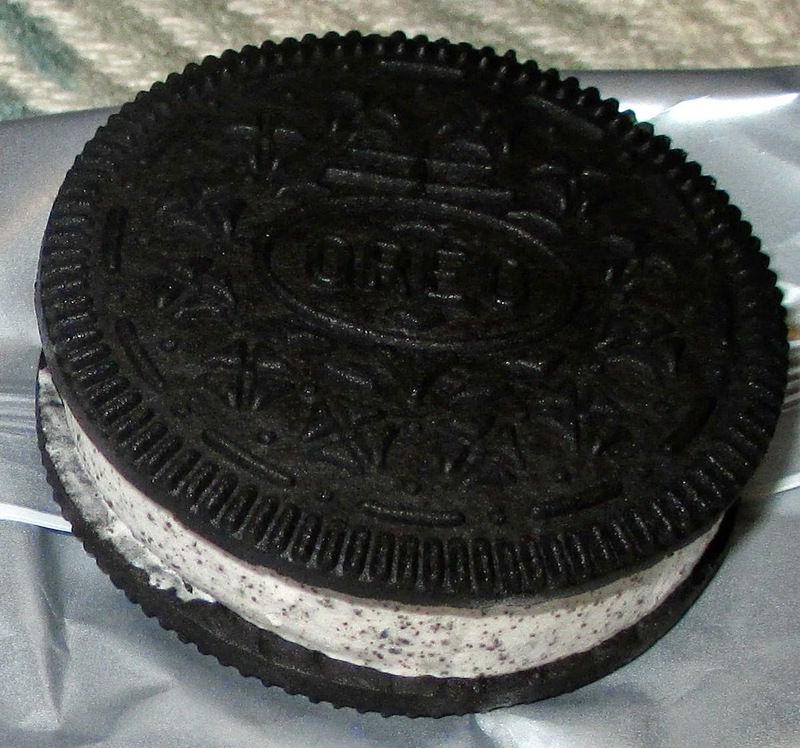 Oreo does keep spoiling us with an interesting new range of products which keep coming out. Oddly enough very few of them are actual new flavours of Oreos, instead they tend to be whole new products, for example that ones that linked up with Dairy Milk are particularly exciting. As it is summer, and the weather is sort of picking up, having new Oreo ices creams on the shelves seems to make perfect sense. These ones are in the format of the ice cream sandwich. There are six in a box, and they are just a bit bigger than an Oreo biscuit in size. They are individually wrapped, and I’m pleased to say they didn’t look too dissimilar to the picture on the packaging, as they did have quite a bit of filling. When I bit it to take my first bite, I have to say it felt wrong. The flavour of the biscuit is spot on dark rich Oreo but the texture is wrong, it is soft and pliable. It is not bad, and I know it would be hard to maintain the usual biscuit crispness with an ice cream, but it was somehow disappointing. The ice cream in the middle was fab, creamy ice cream with a hint of Oreo crumb running through it, and all the flavours did work perfectly. It is a tasty ice cream, once you have got passed the texture of the biscuit. 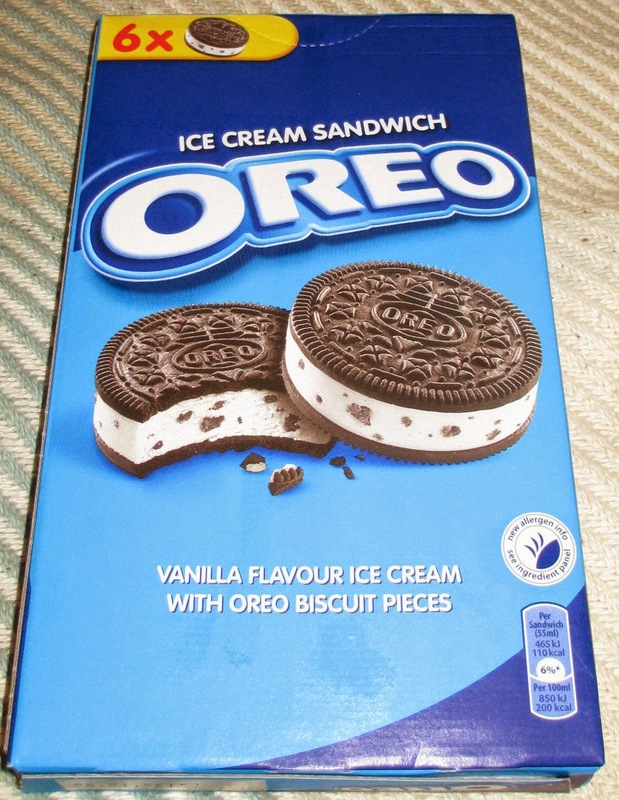 I think in the scheme of things these are nice, but the Oreo Cones are leaps and bounds ahead. Soggy biscuits seem to be the norm with American ice cream sandwiches. The only exception to the rule is the simply amazing 'Choco Taco'. The fact that those use a somewhat odd, but enticing approximation of a Dutch Stroopwaffel (spelling?) covered in chocolate and bent in half accounts for this. Never seen anything like that in the UK sadly, but we barely get savoury Tacos anywhere here!